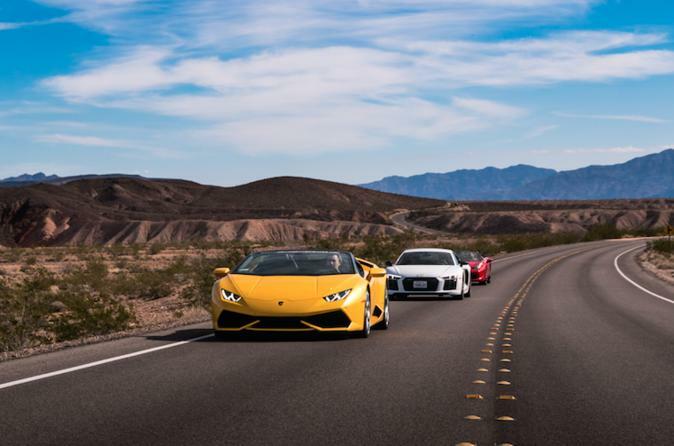 From behind the wheel of your sporty exotic vehicle you navigate winding roads and take on open highway in Lake Mead National Recreation Area. On this small-group tour, you cover 30 mile as you rotate among the upscale vehicles to sample different high-performance cars. Transport back to your Las Vegas hotel (select properties) is included. Drive three different high-performance vehicles along desert roads.